Cattaneo Commercial are pleased to announce the letting of 503 London Road, North Cheam. 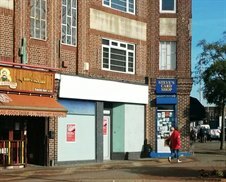 Situated on the busy junction with Malden Road, this prominent shop of 1,300 sq ft will provide a new tanning salon. If you have retail premises in the area and are considering disposal, please contact either David Keates or Adam Soliman on 020 8546 2166.